I ordered a 60mm macro lens for my camera. It came today. Holy schnitzel I was not prepared for the power of the macro lens. I’m used to taking macro shots with a regular lens, and getting really close to the subject. I load up this baby, get next to an ivy leaf, and I’m seeing all the veins that run through part of the leaf. I don’t have to get that close to a subject to get a close up picture! I am impressed. Look at that kitty nose. Can’t you just imagine what it feels like to scritch that nose? So be prepared, if you’re following this blog or my 365 on Twitter. 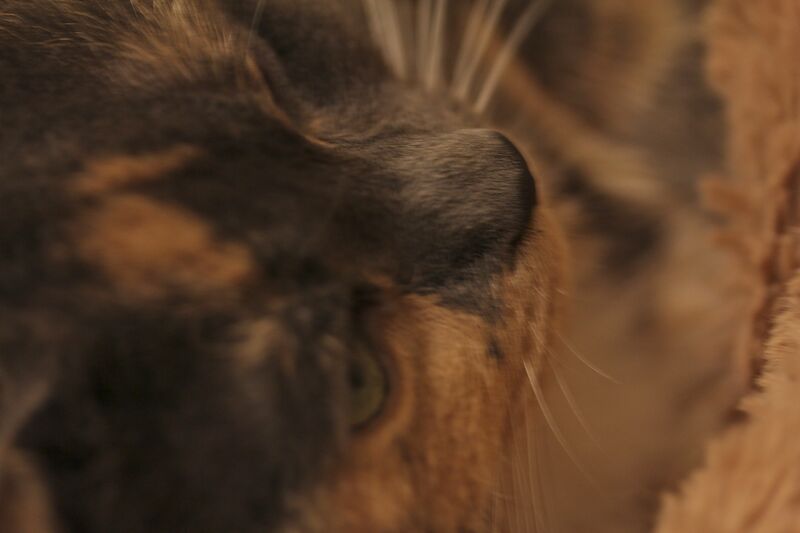 The next few days are probably going to macro shots while I play with the new lens, because I love macro shots. What are your favorite kinds of pictures to take, or your favorite subject?